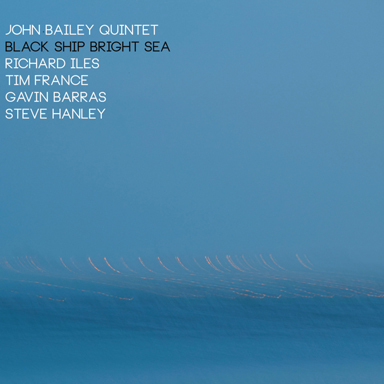 The John Bailey Quintet features John Bailey (nylon string guitars), Richard Iles (flugelhorn), Tim France (sax), Gavin Barras (double bass) and Steve Hanley (drums). The music on 'Black Ship Bright Sea' draws on influences from 20th Century Classical music and from European Jazz. The compositional devices rely on crossing of melodies between instruments and simultaneous melodies instead of simple harmonised ones. Harmonically the movement of chords is not based particularly on a usual system seen in jazz composition; the techniques are more in line with those of Arvo Part, each note having absolute importance and all tones present for a reason.